but we always welcome a personal phone call. 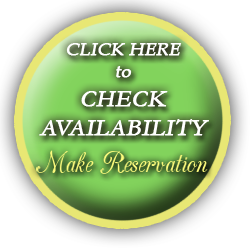 even If it says we have no availability, please call to get on a waiting list. 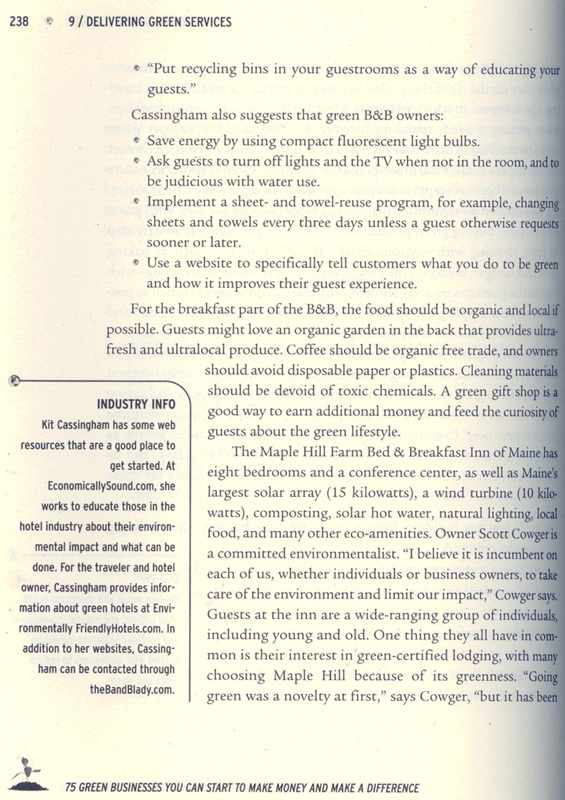 We are proud to have been awarded with Maine's first "Environmental Leader" Green Lodging Inn Certification by the Maine Department of Environmental Protection in November 2005. Track How Much Solar Energy We're Generating! 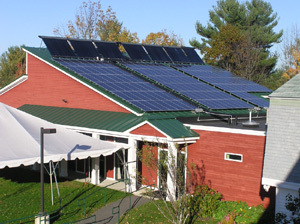 MAPLE HILL FARM's OWN Renewable Energy System has 202 Evacuated Tube Collectors, 126 Photovoltaic Panels, and 1 Wind Turbine. 2008 Next List: Local Energy by Mainebiz - In the Sixth Annual 'Next' List, ten people shaping the future of Maine's economy were selected by Mainebiz magazine and Scott Cowger, owner-innkeeper from Maple Hill Farm was one of them. 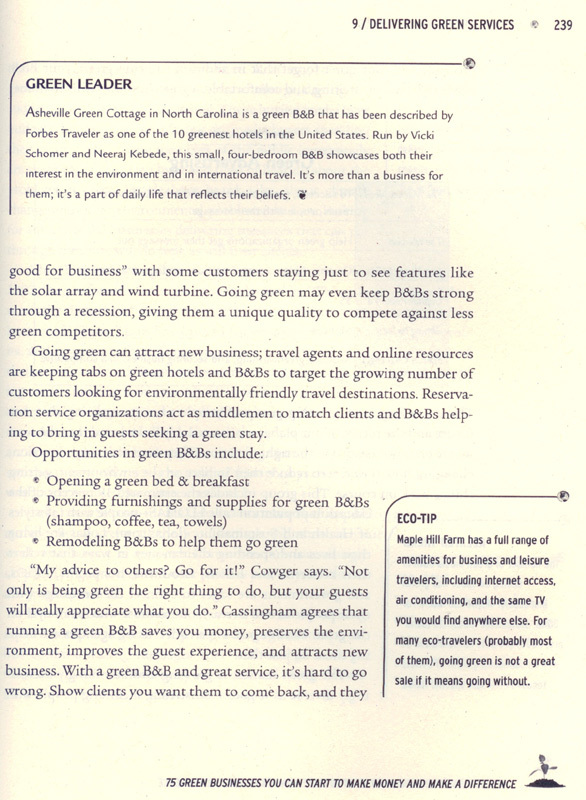 From the October 20, 2008 issue of Mainebiz and reprinted with permission from Mainebiz. 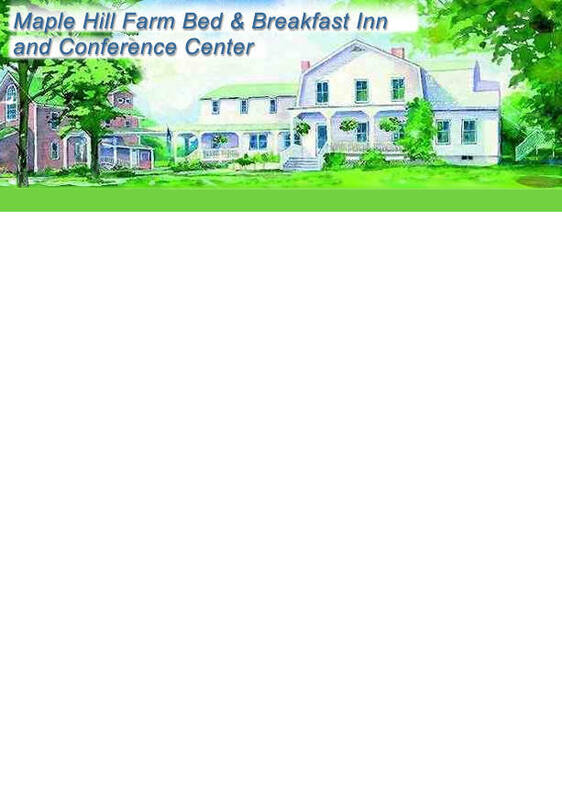 "Maple Hill Farm Bed & Breakfast Takes Energy Conservation to Heart"
Read about Maine's Largest Solar Electric Array. . . at Maple Hill Farm! Our combined solar hot water and solar electric system generates enough power to reduce CO2 emissions by more than 40,000 pounds a year. MHF’s 202-tube solar hot water system (angled tubes at top) & 15 kilowatt solar electric array. a Maine-based company with offices in Liberty and Portland. Check Out How Much Renewable Solar Electric Energy We're Producing! We use a wind turbine, which was installed in 2003, that has a capacity of 10 kilowatts, to also generate renewable energy that we use here at Maple Hill Farm. 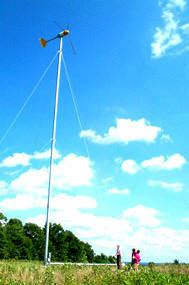 We hope to generate the equivalent of about half our power from renewable resources!! For 2013, All guest rooms and common areas are illuminated with the latest generation of warm-white LED bulbs. These mercury-free bulbs provide excellent lighting along with tremendous energy efficiency. Our guest room cleaning chemicals are all Green Seal certified as environmentally-friendly, and are mixed to the correct concentration on-site, eliminating the need to purchase individual disposable bottles. Bulk dispensers for shampoo, conditioner and shower gel in guest bathrooms avoid the solid waste of multiple individual bottles, while allowing guests to easily use just the right amount they need. Electric hand dryers in the conference restrooms to cut down on paper waste. Our many skylights often eliminate the need to have artificial lights on in some work areas and common hallways. We use only cloth napkins, tablecloths, real dishes and silverware. Very little paper or plastic waste is generated from our food service. All food waste is fed to the farm animals so none of it enters the waste stream. Our laundry is processed on-site using high-efficiency equipment avoiding the need to truck linens to and from our facility. Temperatures are moderated in empty rooms to save energy. Each room has individual climate controls (both heat and air conditioning) to provide for energy savings while maximizing guest comfort. We manage 150 acres of open space with trails for viewing wildlife and a wide variety of native trees and plants, adjacent to 800+ acres of public wildlife area. We use email for confirmations, proposals, invoicing and in general correspondence instead of post mail to cut down on paper usage and waste. Any printing or copying done in-house is automatically double-sided. We offer Maine-roasted organic Fair Trade shade-grown coffee from Carrabassett Coffee in Kingfield, Maine. 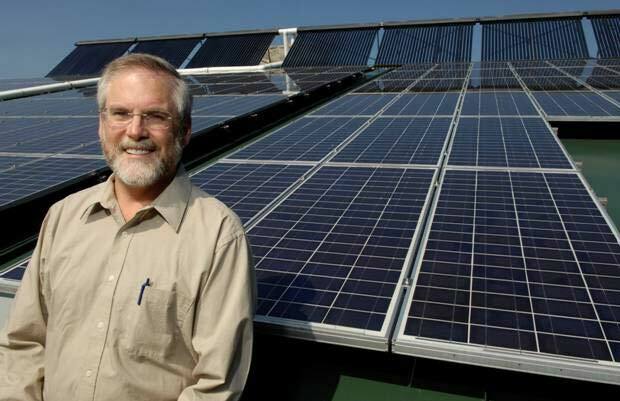 Just below: Check Out How Much Renewable Solar Electric Energy We're Producing!